Rainbow Roses and Singapore Orchids delivered! 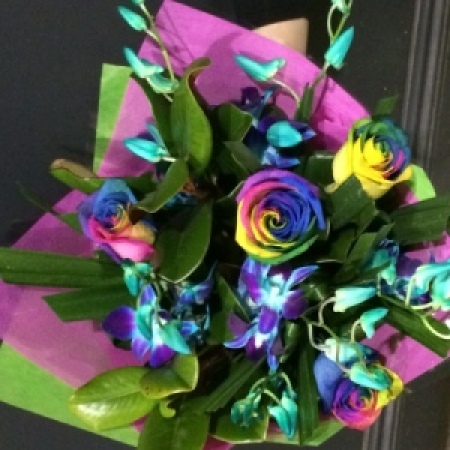 Amaranthine`s Rainbow Rose Dream Bouquet is a vibrant combination of spectacular Rainbow Roses and long lasting Blue Singapore Orchids. Make a statement with this bright and long lasting bouquet delivered to your door. Perfect for Birthdays, Anniversary or any occassion at Amaranthine Flowers By Design, your florist in New Lambton Newcastle.